The Burj Dubai, the tallest building in the world, is at 160 stories and counting, with the tower due to be complete next September. 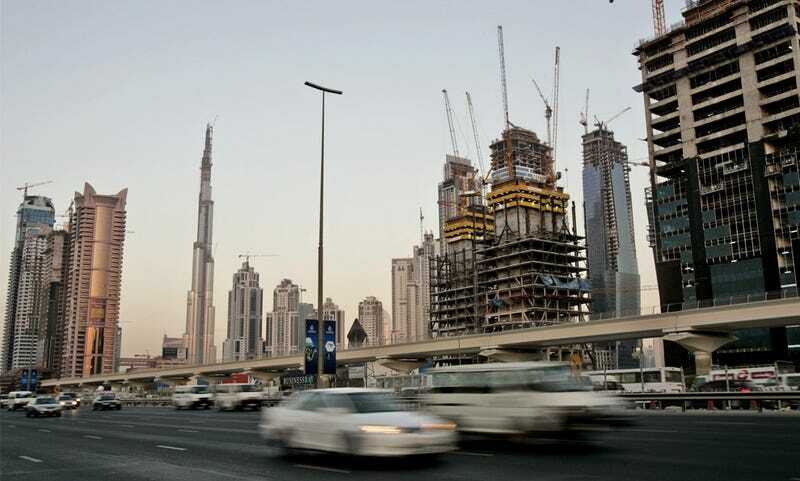 But it's not the only tower under construction in Dubai, not by a longshot. No, the city appears to be sprouting up from the ground like a bunch of weeds, with as many cranes as buildings. And now, The Big Picture has nearly 30 amazing shots of the city in transition. Hit the jump for another of my favorites and then head over to The Big Picture for the rest.